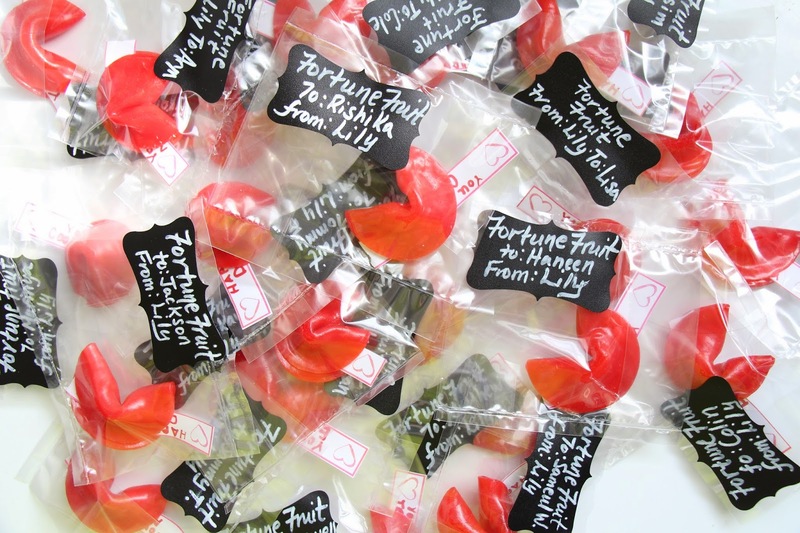 This year Lily and I decided to do fruit roll up fortune cookie Valentines for her class. They came out so cute! Get the how-to below! Step 1: Working on a non-stick surface, layer three fruit roll ups on top of one another. 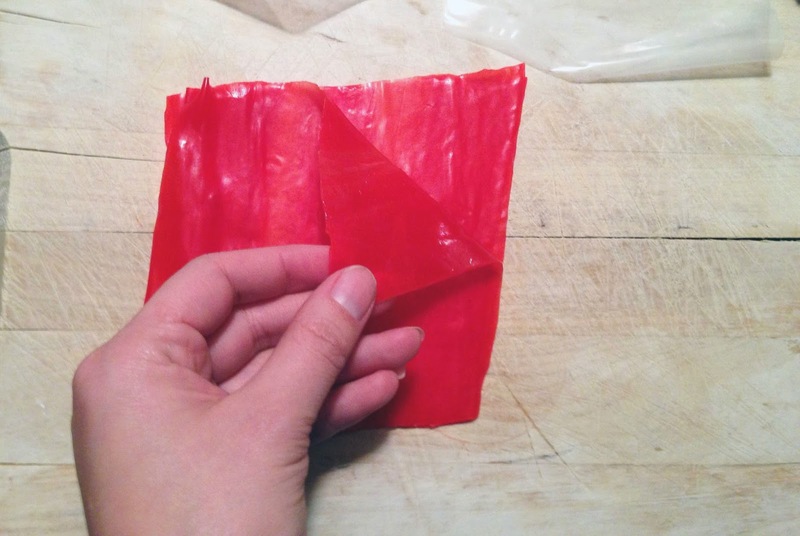 It was surprisingly hard to fine solid colored fruit roll ups. Eventually I found them at the dollar store in packs of four. 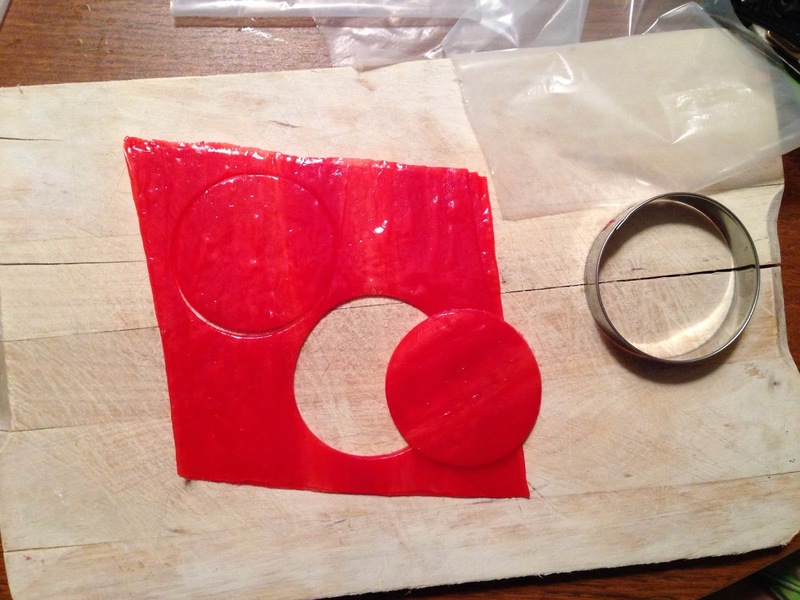 Step 2: Using a round cookie cutter between 2"-3" cut two circles. 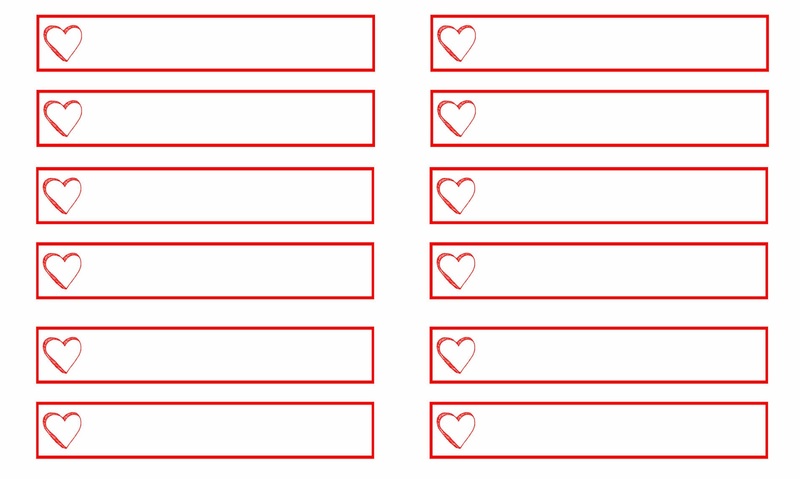 Step 3: Print out labels. Here is a free downloadable pdf printable to use! 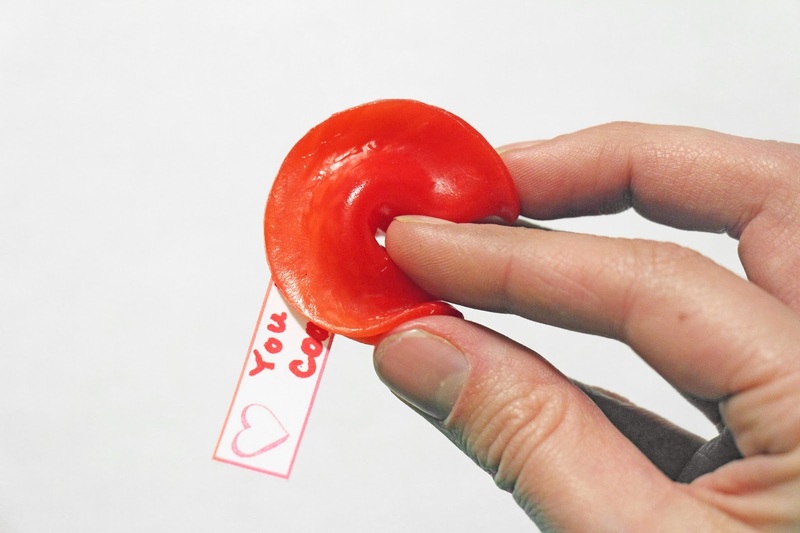 Step 4: Put label inside one circle and fold like a taco. Don't push flat. Just loosely fold. 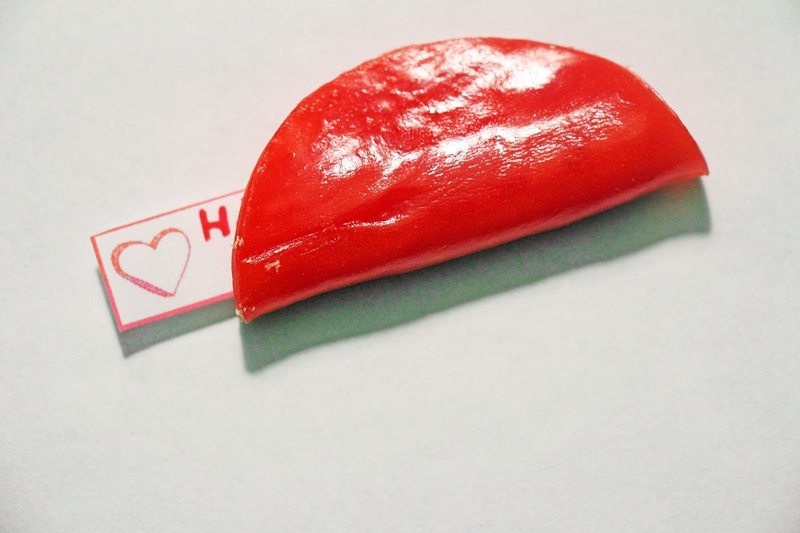 I noticed that the paper can tend to stick to the fruit roll up especially if it's kept in a warm place. 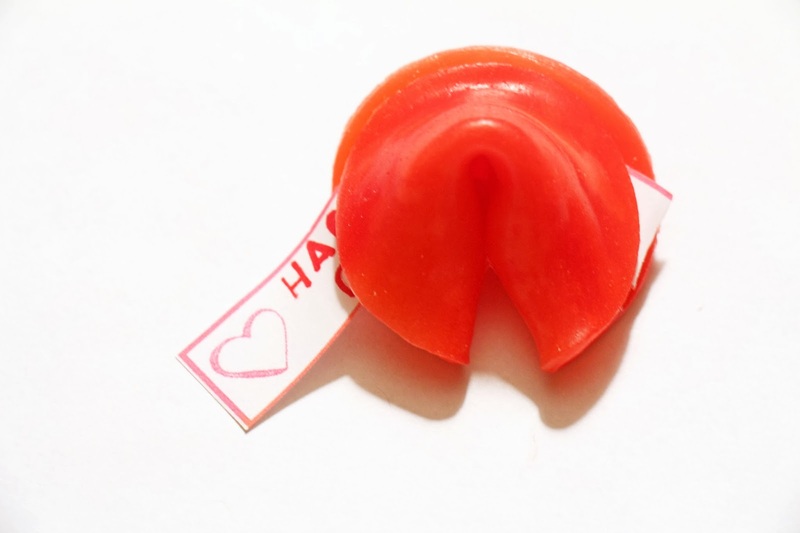 If you want to keep that from happening perhaps add a piece of cellophane between the paper and fruit roll up. Step 5: Fold into a cookie shape by using your index finger to push the middle up while also pulling the sides down simultaneously. Step 6: Pinch the openings a little so your paper doesn't come out. Step 7: Take a cellophane bag and stick a label on. 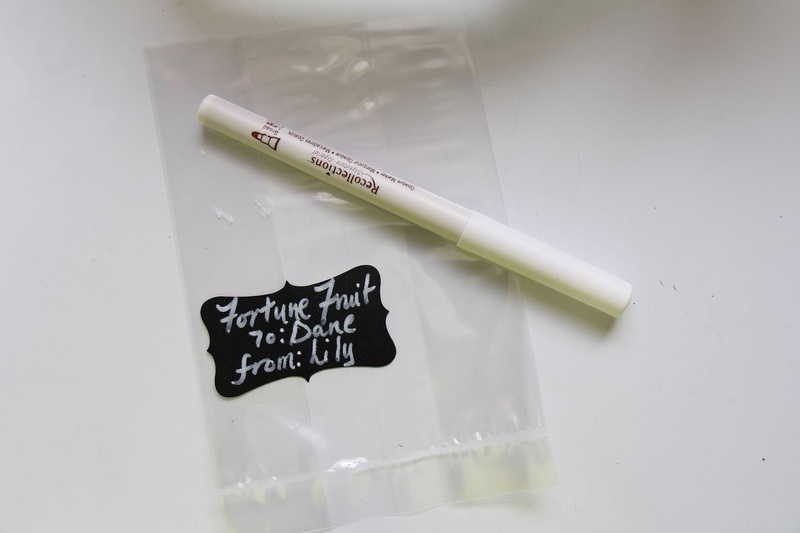 I used these chalkboard stickers with a white non-smear marker. Everything I bought at Michaels. Step 8: Fold cellophane over and tape shut. Or alternatively if you have a plastic sealer, use that to seal the opening shut. 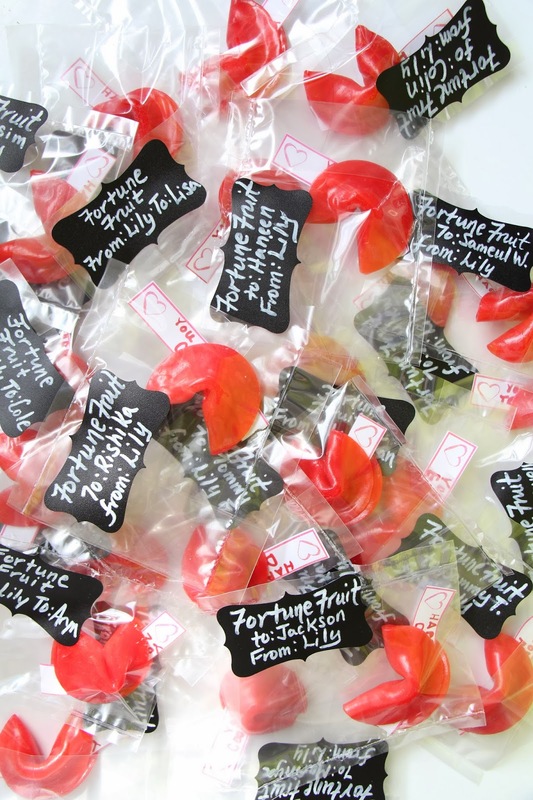 That way, it looks like the fortune cookies you get in the restaurant. If you're looking to purchase a sealer I recommend this one. 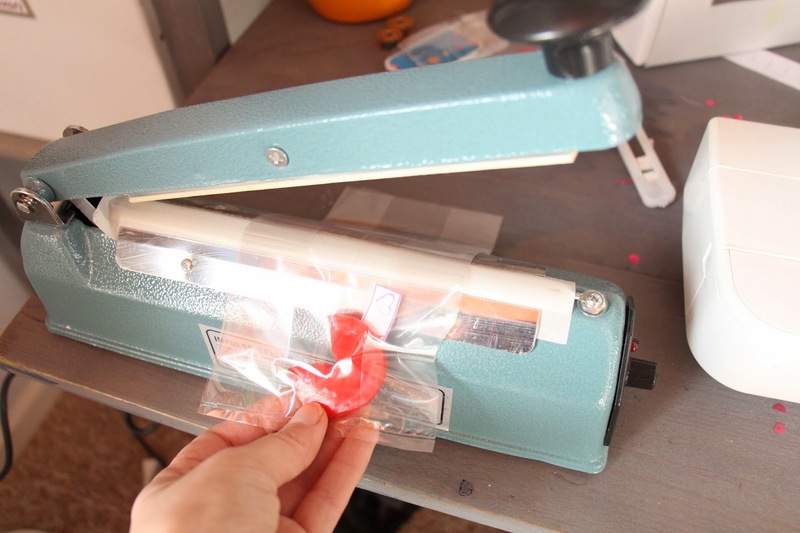 It's an impulse sealer which means it doesn't heat up like other sealers. It creates an electric current when the top and bottom meet which creates the heat. When they're apart it isn't hot. This is great because that means it's less likely to cause burns.